Most of us really aren’t thinking about driving laws around the world. But if you’re going to get serious about driving internationally or even just travelling around the world, you might want to think about what those laws might mean for you in the future. And hey, don’t you need more trivia to impress other people at cocktail parties? You might not leave with a date, but who doesn’t want to impress someone with stuff the other person may not even be aware of? We’re going to go and bring out some shocking driving laws that you’ve probably never heard about. We couldn’t do this research totally alone, of course — we had vehicle hire experts at Northgate track down these facts. If you ever need more insight into car hire, these are the people to check out. Now, let’s get on with the list! In Spain, it’s not enough to wear prescription eyewear while you drive. By law, you have to make sure that you have a spare handy. 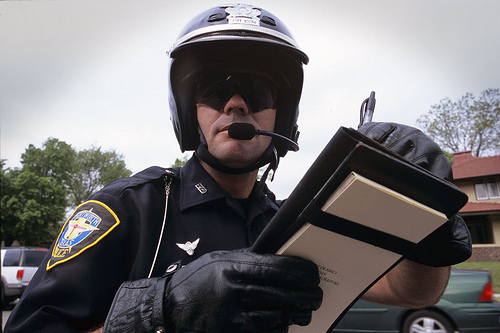 If you’re pulled over and you don’t have them, you can face some stiff fines for not being as prepared as you should be. In Saudi Arabia, you absolutely cannot drive if you’re a woman. It’s something that has constantly put Saudi Arabia on many lists for their terribly backward treatment of women. We look forward to the day where all Saudi women can drive where they wish to go, without having to have a man present at all. In the United Kingdom, you absolutely cannot do fellow drivers a solid by showing them where the speed traps are. While it definitely is shocking, proponents of the law point out that you are technically keeping the police officer from doing their job. To us, it sounds like the state just doesn’t want to miss out on their share of fines! What do you think? 4. Tipsy? Ride in the Back! If you’re planning on partying in Macedonia, you need to make sure that you don’t try to ride in the front seat after drinking. Even if you’re not the driver, the driving laws in Macedonia state clearly that you cannot ride in the front if you’ve taken in any alcohol. Since there can be fines and other penalties even for tourist drivers, this is one that you might want to pay attention to later on. We thought that this list of driving laws around the world were pretty shocking, especially considering that we spend so much time on the road as a whole. We highly doubt most of you have really looked at the full list of driving laws in your country. Check it out before you get behind the wheel, just to stay informed.